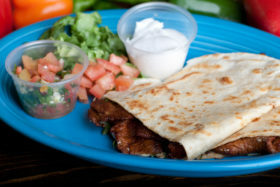 A lightly toasted giant flour tortilla folded in half. 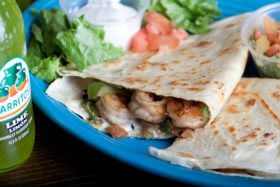 Served with lettuce, sour cream & pico de gallo on the side. 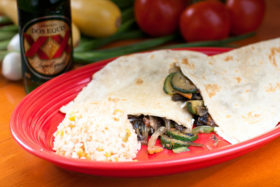 Veggie quesadilla filled with cheese, white mushrooms, onions, green Peppers & zucchini.